Guess who’s back? Back again? #bpSewvember’s back. Tell a friend. Oh yeah, I totally put that delightful Eminem ear worm in your head – you’re welcome 😛 So with no further ado, welcome back to the fourth edition of #bpSewvember! 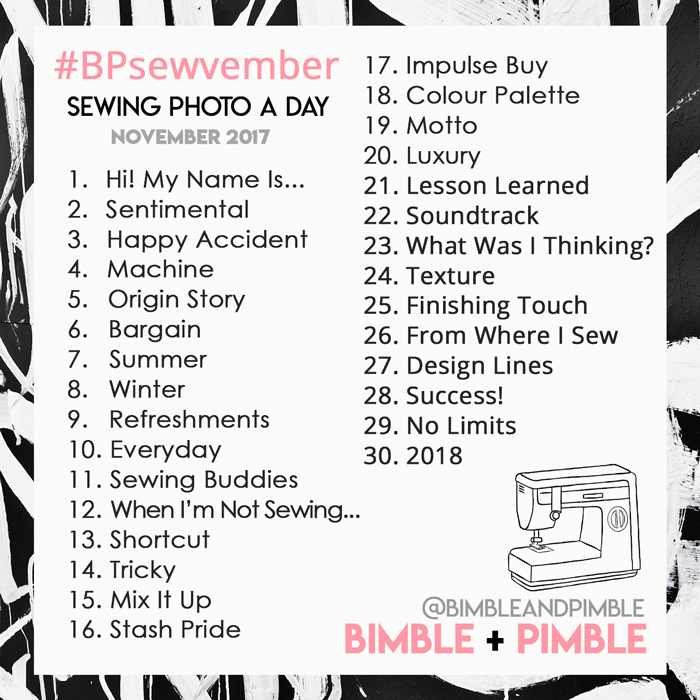 If you haven’t heard of #bpSewvember before it is a month long photo a day challenge running throughout November. Sewing is often seen as a solitary pastime so this is a great way to make connections with other awesome sewing peeps from all round the world! You can participate as much or as little as you like – feel free to post 1 or 5 or all the photos – whatever is going to be most enjoyable for you! 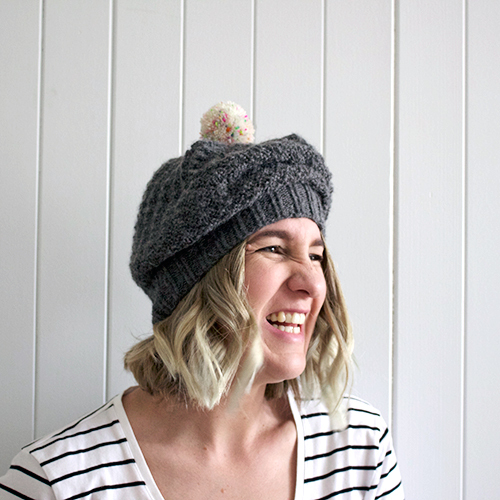 #bpSewvember is all about having fun, meeting new peeps and having a sticky beak into sewing rooms across the world. Above is the prompt list for this year. There are some seriously cool prompts and a massive thanks must be said to all the fabulous peeps who sent through suggestions. I, for one, can’t wait to talk about sewing refreshments – a cheeky gin anyone? Please feel free to share this on Instagram, your blog or any other social media that floats your boat. The prompts will be posted on my Instagram account each day throughout November. I’ll also have a little blurb fleshing out each of the ideas – especially the ones phrased in Amanda-talk. We’ll be starting on November 1 and going all the way through to November 30. Sounds fun- I may just go for it! Awesome – hope you enjoy! I’m so glad you mention it’s okay to join for just a few posts, I know that shouldn’t worry about that, but I do! I really love seeing what everybody comes up with, but I never manage to post something for the entire month myself. So, yes, looking forward to this, and will do my best to join in! What a great idea! I am in. This sounds really good and I have never done this challenge before so I am in! I don’t know why I’m feeling technically challenged about this, but… Are the photos to be shared via Instagram or your website? Am I really this far out of the loop in life? I want to participate..at least periodically! Ohhhhh…sounds like so much fun! I’m in and can’t wait to get started!!! Would love to do this. Do we just post photos in owninstagram with hashtag #bpsewvember? Is it as simple as that? Thsnks! That sounds wonderful. New in instagram (I know!) 😉 and would love to also find new people to follow. Thanks a million. Yes, Yes, Yes!!! This is just the kind of sewing fun I ❤️ love. Count me in! So glad you are joining in! Have a blast!!! I loved your interview on the love to sew podcast and your blog is awesome as well. Looking forward to this year’s bpsevwember! Is bpsewvember just for bloggers or can us non-bloggers participate? I sew tons but do not have a blog. I love seeing all the posts on Instagram.